China Briefing discusses the opportunities and challenges for foreign investors in China’s health foods market. For many international investors, the fast-growing food and beverage (F&B) industry in China is an attractive destination. In 2019, revenue from F&B segments is projected to be at US$22.7 billion, showing an increase of 22.5 percent when compared to the year before. This makes China’s F&B market the biggest revenue generator in the world. Analysts expect the market to register an annual growth rate of 12.8 percent, and the market volume to be worth US$36.67 billion by 2023. Unfortunately, with only 11 percent of its land currently arable, China faces a steep challenge when it comes to sustainably ensuring food supply for its population. Further, up to 40 percent of China’s rivers and 20 percent of its land are polluted, resulting in the limited ability to produce homegrown food products. Accordingly, China has no choice but to import huge amounts of food products to satisfy the needs of its immense population. Besides soybeans, which account for 40 percent of the total value of F&B imports to China, meat products, wines, spirits, fish products, confectionery and chocolates, bottled water, dairy products, and sugar are the most commonly imported products. The biggest trend in Chinese consumer behavior is a growing awareness of health foods, which is impact changing their purchasing behavior. In addition, 86 percent of Chinese consumers consider food safety when buying food products and 52 percent consider it as the primary factor when buying or choosing food. Accordingly, the sales of imported health foods, such as food supplements and premium dairy products is booming, while low nutrition food products are gradually losing popularity. Yet, to be successful in the Chinese market, foreign players need to understand local consumer behavior. This includes having a grasp over the objectives and demands of Chinese consumers, regional differences in consumption patterns, and the internal dynamics of the overall market structure. Brands that adopt a uniform strategy across China risk ignoring prominent differences in its regional markets. For instance, better developed cities with higher disposable incomes and a more international lifestyle, such as the first-tier cities along China’s east coast, have a higher appetite for foreign products than western and inland provinces. At the same time, brands that target less saturated markets could benefit from the rapid growth projected in many of China’s Tier-2 cities. Foreign players thus have two options when doing business in China – one, partnering with local operators and, two, investing in market research to determine local preferences and offer customized products that suit local demand. A combination of these strategies will enable foreign businesses to effectively assess the opportunities and risks available across China’s different regional markets and adapt to match consumer needs. Several factors, both social and economic, contribute to the rise of the health foods segment in China. By 2050, it is expected that more than 30 percent of China’s population will be aged 60 years and older, resulting in the significantly increasing consumption of health food products. Increasing levels of education and an internet savvy Chinese middle class are additional factors of growth. Consuming organic and healthy food products is now considered a status symbol in Chinese society, and has in short time created and expanded the country’s lifestyle products market. Scoring 12 points above the global average, China is today known to be one of the most health-conscious nations worldwide. 73 percent of Chinese consumers are ready to pay extra for food deemed healthier and 58 percent of the Chinese middle class (aged 20-49 years) are willing to pay more for ethical brands. However, foreign firms that want to sell health food products in China need to pay special attention to its legal and regulatory provisions. At present, China refuses to recognize international standards for organic food products and imposes its own national standards. 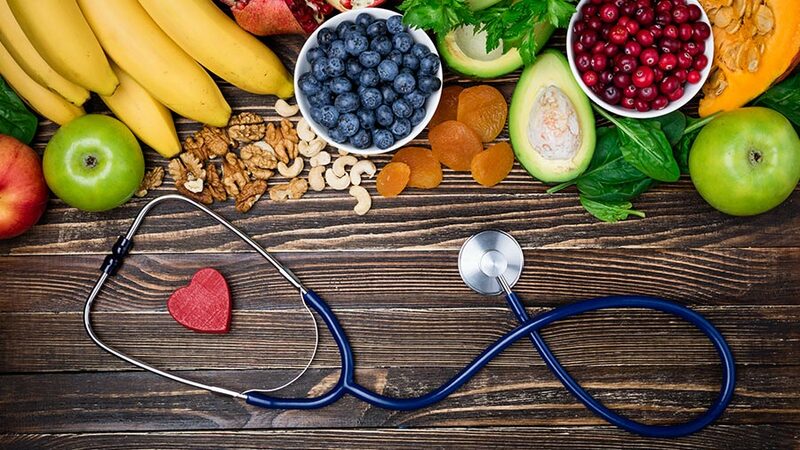 To legally sell health products in China, businesses need to obtain the Health Food Approval Certificate issued by the China Food and Drug Administration (CFDA) for every functional food and nutritional supplement. When registering a health food product, multiple documents need to be submitted to the CFDA. This includes the product’s R&D report, the product’s formula and related documents, and the safety and health care evaluation report. The whole process may take between 85 to 95 working days and the certificate is valid for five years. A prominent trend in the Chinese F&B market is the importance of its online retail channels. According to the China Household Table Consumption Trends Report, published by Alibaba in 2017, 60.5 percent of all fresh food available in China is sold online. In first and second tier cities, 82 percent of Chinese consumers, at least occasionally, buy food and beverages online. Moreover, simply translating the F&B company’s existing website into Chinese is often not enough to attract local consumers to buy online. International brands must tailor their websites to the interests of Chinese customers; additionally, they must also have a clear social media strategy in play. While sales through e-commerce platforms directly owned by the company and through third-party platforms, such as Tmall.com and JD.com is becoming more popular, successful suppliers of health products employ multiple channels to ensure their product visibility and sales in the Chinese market. These include direct sales channels supported by interactive events, conference marketing, and traditional marketing campaigns through television and social media as well as the establishment of their own online platforms. Through the online-to-offline (O2O) model, Chinese consumers are encouraged to try the products in the physical stores and place orders online, thus combining the offline experience, which is more tactile and the online purchasing process, which is convenient. Foreign F&B products entering China meet a multi-layered regulatory system as soon as they reach the country. 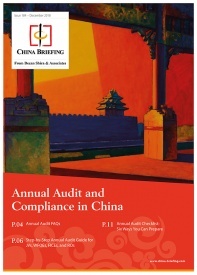 China’s regulations have undergone rapid change in recent years, requiring foreign investors to adopt a methodical approach when reviewing the country’s Food Safety Law and preparing for the licensing needed to import their products into China. Foreign businesses have to register with the State Certification and Accreditation Administration (CAA) if the food or beverage product is on the ‘List of Food Imports Subject to Enterprise Registration’. Meat and health products require an additional, special registration. Once the product is registered in China, its certificate is valid for four years and is renewable. From October 2015, it has become mandatory for exporters to register each shipment of food products online with the Administration of Quality Supervision, Inspection and Quarantine (AQSIQ) for tracking purposes. China’s import regulations vary according to the type of food product and may not be consistently applied and enforced by different ports, bureaus, and individual officers. However, if at any time, Chinese authorities realize a gap in compliance or irregularity in food quality standards, the importer’s license may be revoked, and the companies may be barred from future trade with China. The 2015 Food Safety Law was drafted in reaction to a series of food scandals that afflicted the country. It shows the attempt of China’s government to exert pressure on cheap and faulty food procedures and distributors. Amending over 90 percent of previous regulations and adding 49 new ones, the revised Food Safety Law is especially focused on quality standards, food production licenses, production and distribution, food-related products, warehousing and logistics, the safety of additives, and health products. Among key changes in the 2015 law are revised sanctions for varying grades of violations, as well as changes in the traceability and accountability regulations. The law is particularly stringent its regulation of infant formula products – all infant formula products, whether produced in China or imported – must be registered with the CFDA. Nevertheless, this is good news for foreign investors, as the new law creates a more structured regulatory environment. The Chinese F&B industry holds vast opportunities for foreign investors. However, a complicated regulatory framework, stringent food regulations, and the infrastructure and pricing strategies employed by domestic players pose key challenges to foreign businesses entering the Chinese F&B market. 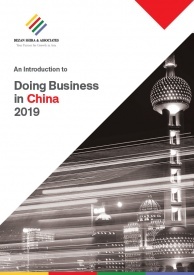 Potential investors are advised to meticulously study China’s customer behavior by engaging with them on the ground – this can offer crucial insights and help overcome any sociocultural barriers, among other factors. Another challenge is the fight against counterfeit products. Even though the situation has improved in recent years, China’s counterfeit F&B business is still booming. Such products often contain industrial and recycled ingredients or even potentially toxic mixtures. Since Chinese consumers are particularly sensitive when buying food products, experiences of poor quality or illness associated with consumption can permanently damage a brand’s reputation. Foreign businesses should start early in taking all possible measures to protect their brand identity and trademark and prevent their products from being imitated and challenged in the Chinese marketplace. As Chinese consumers become more urban, wealthy, and exposed to foreign cultures and lifestyles, the demand for foreign F&B products will develop correspondingly. Nowhere is this observed more visibly than in the rise of the organic and health foods segments. Moreover, due to frequent domestic food scandals resulting from pollution, fraud, and corruption – consumers of all classes and backgrounds in China view foreign food and beverage products as the safer and healthier option. Thus, with China relying heavily on food imports, it is expected that foreign food imports will be promoted by the government through favorable regulations and import procedures. 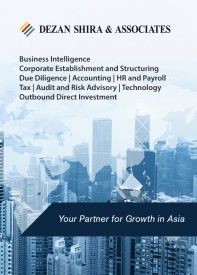 This offers immense and long-term growth potential for foreign investors looking to do business in China.